Which Sweet Hearts girl are YOU? Quiz! 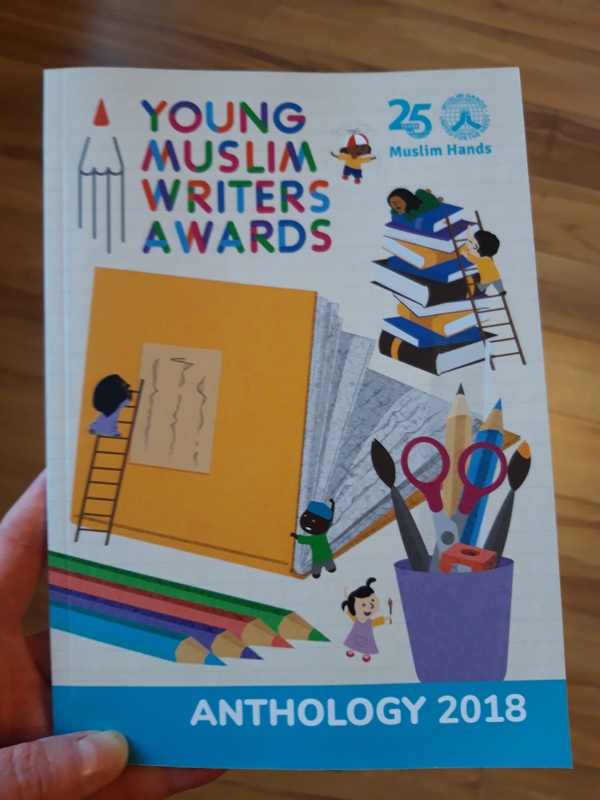 Over the past week I’ve attended two events voluntarily: the Kids’ Lit Quiz regional heat in my area, and the Young Muslim Writers Awards, held in Senate House, London. As an author, I get asked to do lots of things, but I mostly love to give my time (when I can) to events like these which celebrate knowledge and talent in young people. The Kids’ Lit Quiz is a global phenomenon (check out the link; it’s amazing!) and I’ve been attending the regional heat for Oxon/Berks for years now. Imagine a hall filled with kids aged 11-13, in teams of four, answering over a hundred questions about books and stories. Now imagine two teams of authors joining in and trying to beat the kids! 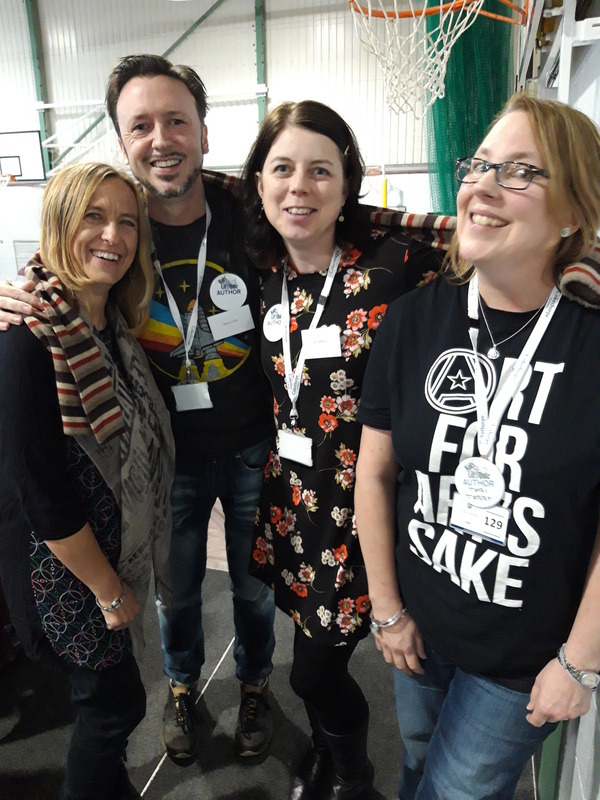 On my team, Teri, Steve and Nicki had never competed in the KLQ before, and were full of ‘oh, we know NOTHING’ before it started, but whaddya know, we won! Well, we got the highest score of everyone in the room (helped, I’m convinced, by my knowledge of the pre-school programme PJ Masks) though of course the real winners were Magdalen College School who then went on to compete in the National Final on Tuesday. It’s so exciting to be in a room of kids who love reading, love books, love geeking out over authors and swapping recommendations. It reminds this particular author that publishing (sometimes a tedious and disheartening business) is really just a means to an end. That end is those kids – bright-eyed and fired-up by stories. Then on Saturday I attended the Young Muslim Writers Awards for the first time. Last year I judged some of the entries, which were wonderful, but I wasn’t able to attend the ceremony. It was lovely to be able to go along and be in a room with some extraordinary young people. The anthology of the children’s work is stuffed full of fantastic pieces: poetry, short stories and journalism from age 5 up to 16. Sometimes you come across a child with a rare talent for expression and language, and I’m quite convinced that we’ll be hearing more from at least one of the winners in the years to come. The most powerful moment of the ceremony for me was the presentation of the Special Recognition Award. The charity behind the awards is Muslim Hands, which does amazing work in all kinds of places, and this award is for children who have worked in exceptionally difficult circumstances. 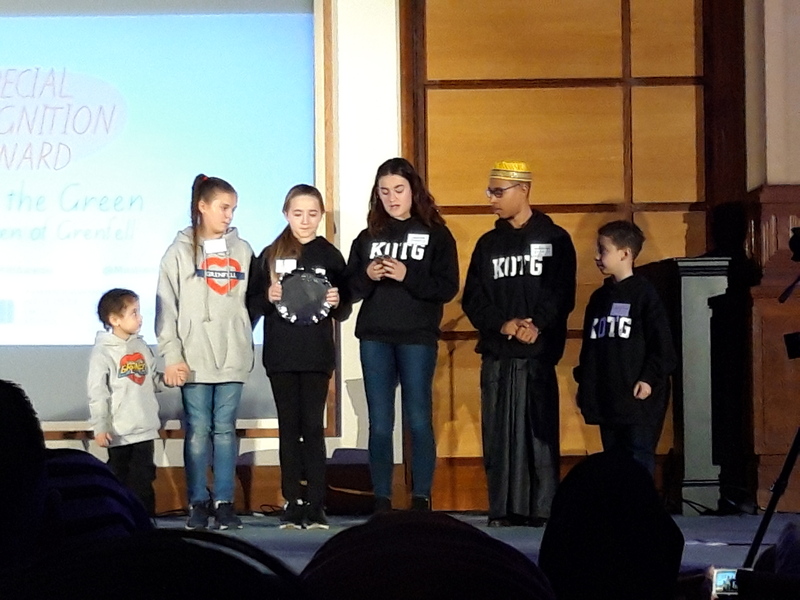 This year, the award went to Kids On The Green, a grassroots organisation set up to help the children involved in the Grenfell Tower. The children spoke quietly but clearly about the struggles they have faced and continue to face – most notably the fact that several of them still don’t have a permanent home to live in. Just the sight of these young people – real, in front of me, going through their lives with this awful scorching burden – was enough to bring me to tears, and I wasn’t the only one. The whole event was so inclusive and positive and warm that it made me wish many of my white compatriots could see what good the Muslim community does in our country. And it was also striking to see the attendance of new publishers Knights Of, who are determined to bring new authors from BAME communities to mainstream bookshops. If this is something you think is important too, you could contribute to their new crowdfunder which aims to bring inclusive pop-up bookshops to various places in the UK and Ireland. 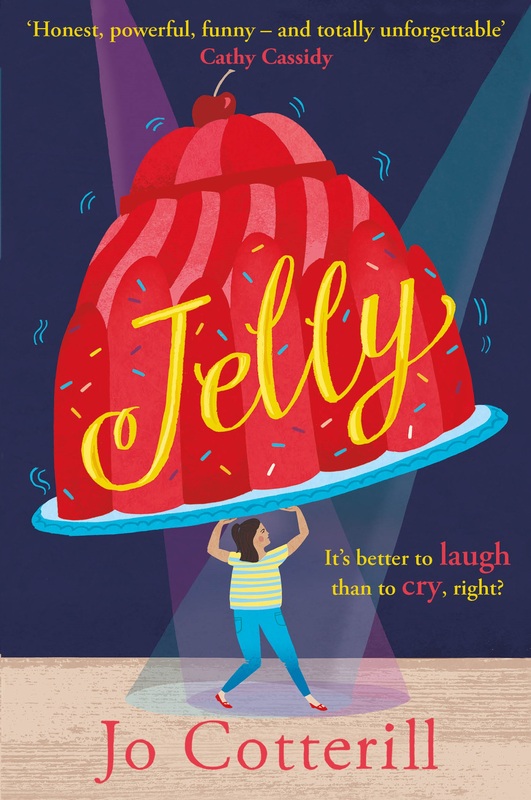 Hi today I got my book signed by you on the 6.03.19 I got jelly and it was so good I have a question what I didn’t get to ask you. What’s your favourite colour? Don't be alarmed! I am Joanna Kenrick AND Jo Cotterill! You can find everything you need on this one site, including all the bonus pages from the Sweet Hearts books and further information on my Young Adult novel Red Tears.